Baar, Switzerland – April 18, 2017: Veeam® Software, the innovative provider of solutions that deliver Availability for the Always-On Enterprise™, today announced another record quarter, fueled by explosive gains in Enterprise and Cloud revenues. During Q1’17, Veeam recorded a 33 percent YoY increase in total bookings revenue while Enterprise new license bookings grew 17 percent annually. Cloud revenue enabled by Veeam Cloud and Service Providers (VCSPs) grew 59 percent YoY, helping enterprises transform their operations to deliver 24.7.365 Availability that users demand in today’s digital world. DRaaS and BaaS adoption: The Veeam Cloud Business, which provides service providers with ready-made opportunities to offer Disaster Recover-as-a-Service (DRaaS) and Backup-as-a-Service (BaaS), reported 59 percent YoY revenue growth. 242,000 customers worldwide: Veeam added close to 12,000 total paid customers in Q1 2017, keeping pace with the historical new customer acquisition average of approximately 4,000 per month. 13.9 million virtual machines (VMs) are protected with Veeam Availability solutions. More than 1 million of these VMs are protected via Veeam Cloud Service Providers (VCSPs). Partner expansion: Veeam’s 100 percent commitment to the channel continues to attract new resellers. There are now 47,000 Veeam ProPartners and 15,000 VCSPs globally. Expanded executive team: Jeff Giannetti joined Veeam as Vice President of North American Sales from Cleversafe, where he was Senior Vice President of Global Sales. Previously, Jeff spent more than 10 years at NetApp where he served as Vice President of US Commercial Sales. Strengthened Alliances: Veeam joined the Hewlett Packard Enterprise (HPE) Complete program. The program adds Veeam solutions to HPE’s price list so that customers can purchase complete HPE and Veeam solutions directly from HPE and its resellers, providing a one-stop shop for the validated solution. 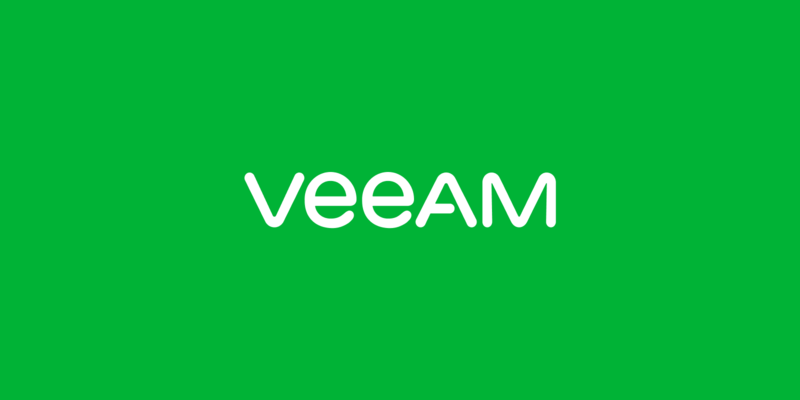 Veeam also launched the only fully integrated Data Protection solution for Cisco HyperFlex, providing the first native snapshot capability for the hyper-converged infrastructure offering. Registration is now open for VeeamON 2017, the world’s Premier Hybrid Cloud Availability Event, which will take place May 16 – 18, 2017 in New Orleans, LA. Keynote speakers will include Mark Russinovich, Chief Technology Officer for Microsoft Azure, and Sanjay Poonen, COO, Customer Operations, VMware.